Krushi Sanjivani Prakalp Latur (Latur Krushi Sanjivani), Latur published a new job notification for Farmer Trainer, Farmers Coordinator Posts. The recruitment is for total 39 Vacancies. The willing candidates are informed to see the latest notification February 2019. Interview on 2nd March 2019 till 10:00 am. For More details of Krushi Sanjivani Prakalp Latur Recruitment 2019 Read Below. 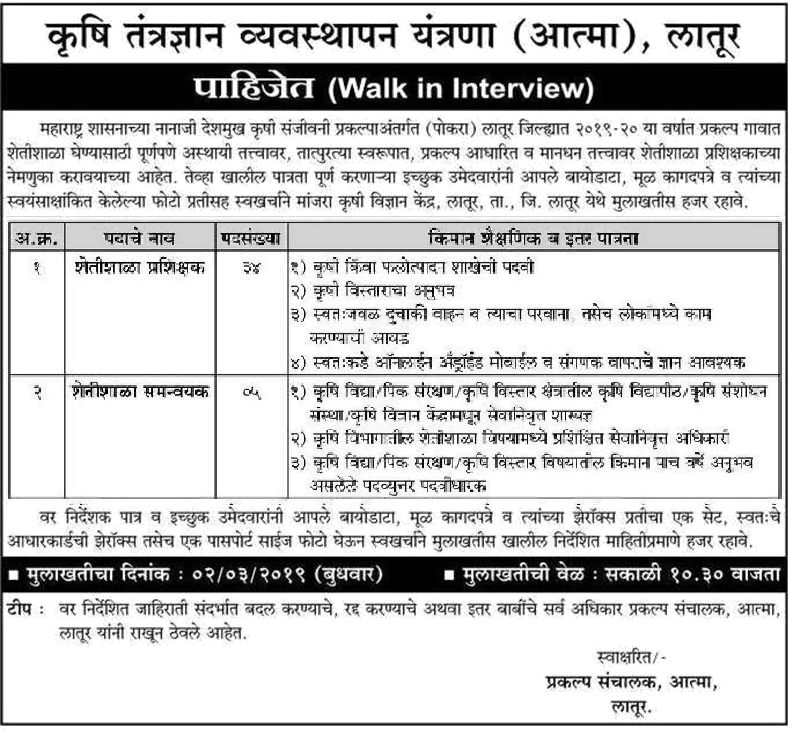 Interested & Eligible candidates may attend for walk in interview along with all the documents addressed at कृषी विज्ञान केंद्र, लातूर. Interview Date : 2nd March 2019 till 10:00 am.